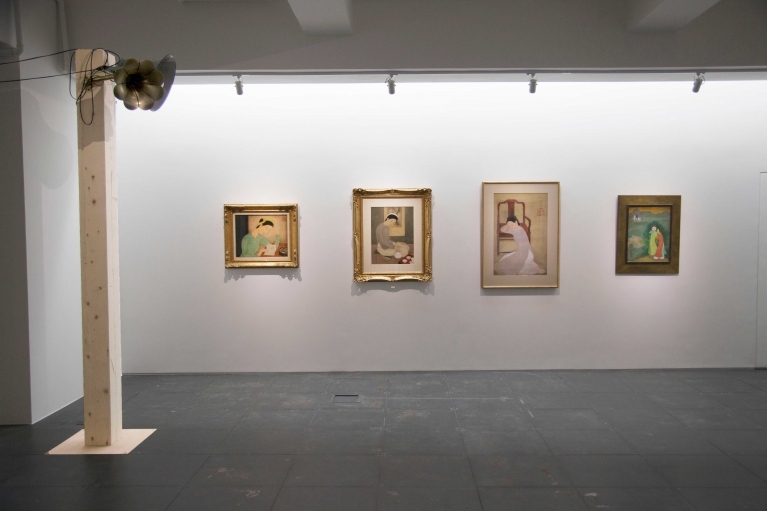 de Sarthe Gallery and Art Agenda, S.E.A. 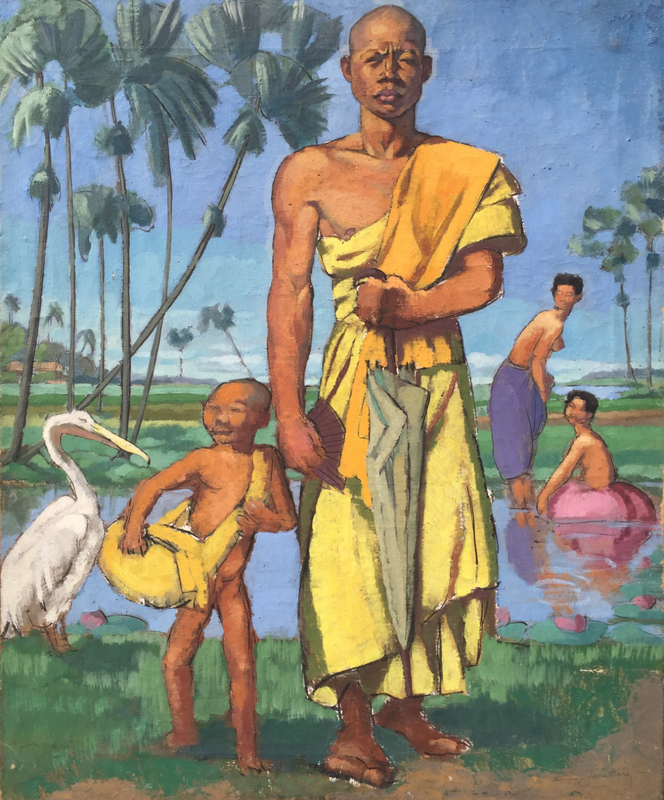 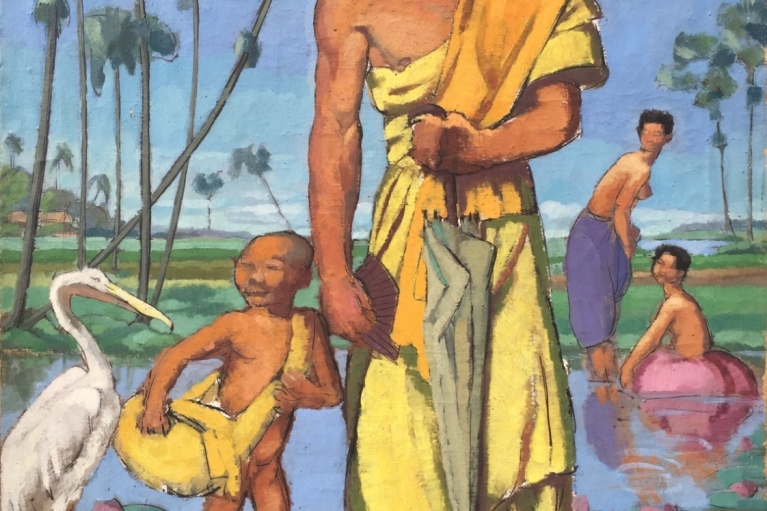 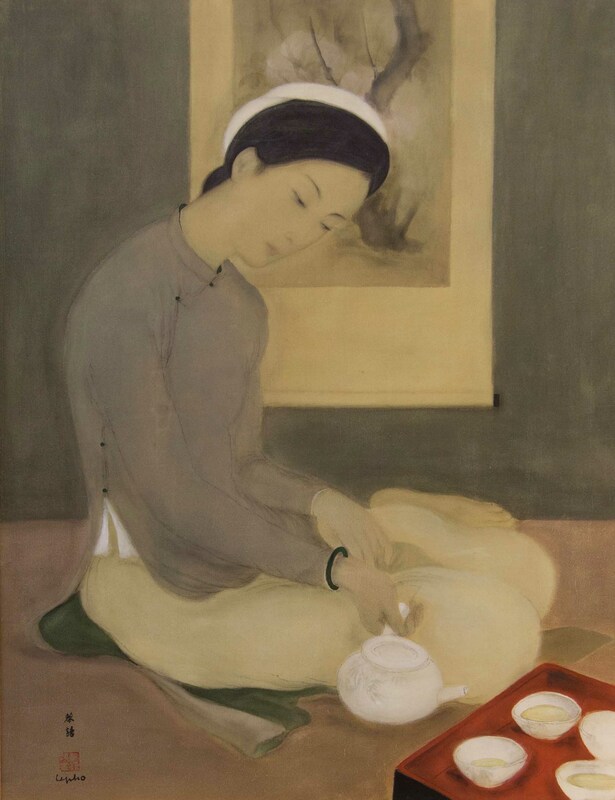 are pleased to announce Departures: Intersecting Vietnamese Modern Art with R. Streitmatter-Tran, an exhibition of contemporary and modern Vietnamese art that tracks the flow of artists and ideas between Vietnam and the West over the last century. In the show, major new work by the preeminent Ho Chi Minh City-based contemporary artist R. Streitmatter-Tran intersects with a collection of forty modern masterpieces by artists central to the story of modern Vietnamese Art from the pre and post-war era: Le Pho, Le Quang Tinh, Le Thi Luu, Le Van De, Luong Xua Nhi, Mai Trung Thu, Nguyen Gia Tri, Nguyen Hong Linh, Nguyen Phan Chanh, To Ngoc Van, Trinh Van, Vu Cao Dam, and their Western teachers Évariste Jonchère and Victor Tardieu. 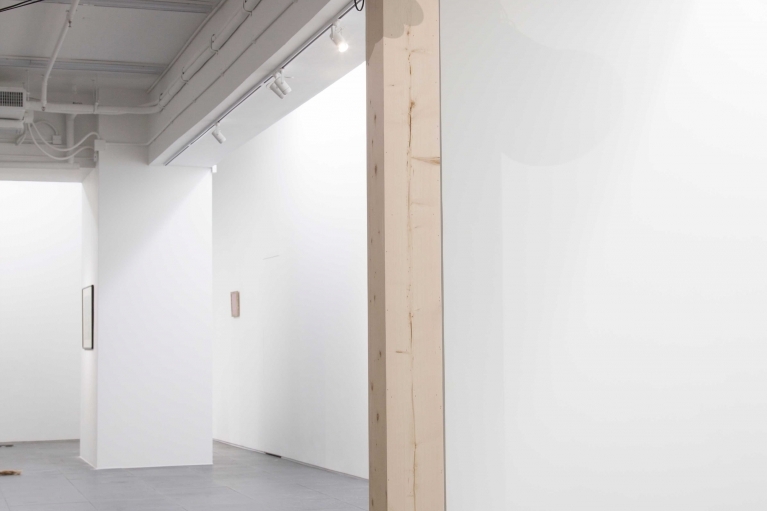 Opening May 26th, the exhibition runs until July 8th, 2017. 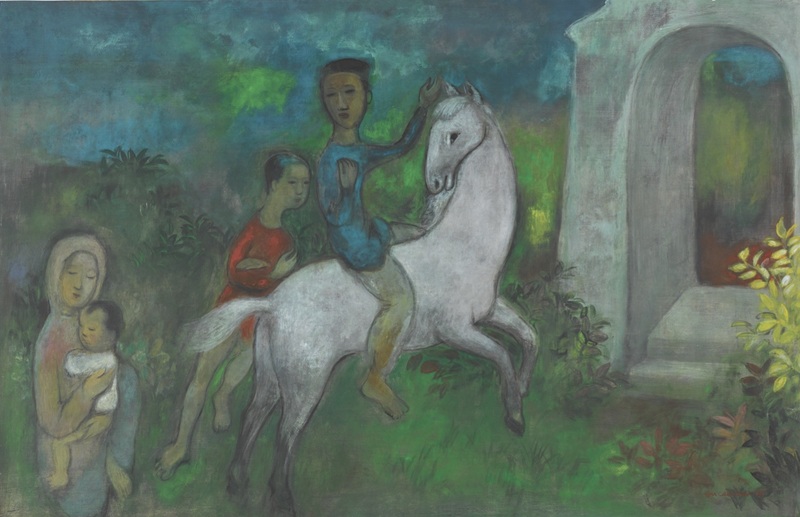 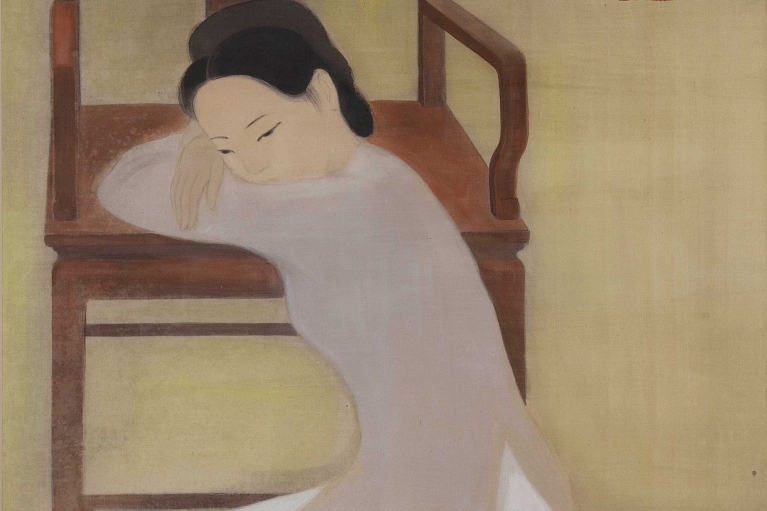 The exhibition marks the first time that a number of significant modern masterpieces from Vietnam will be showcased together in Hong Kong, as well as Streitmatter-Tran's first major solo presentation in the city. 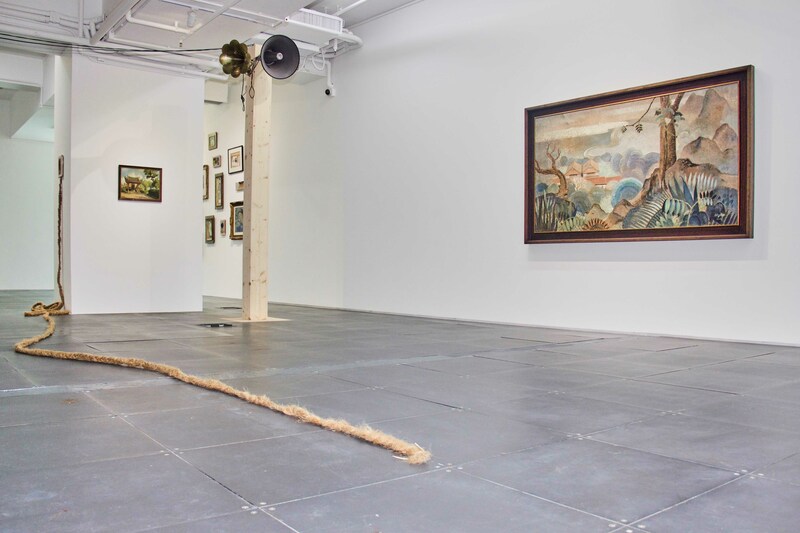 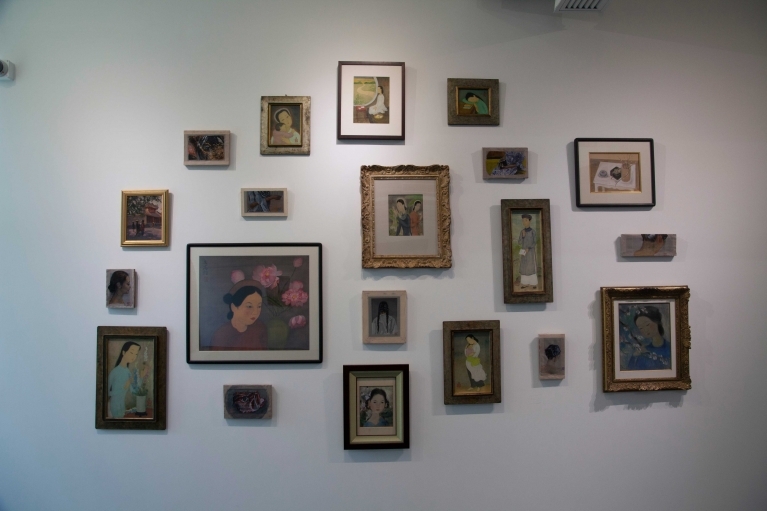 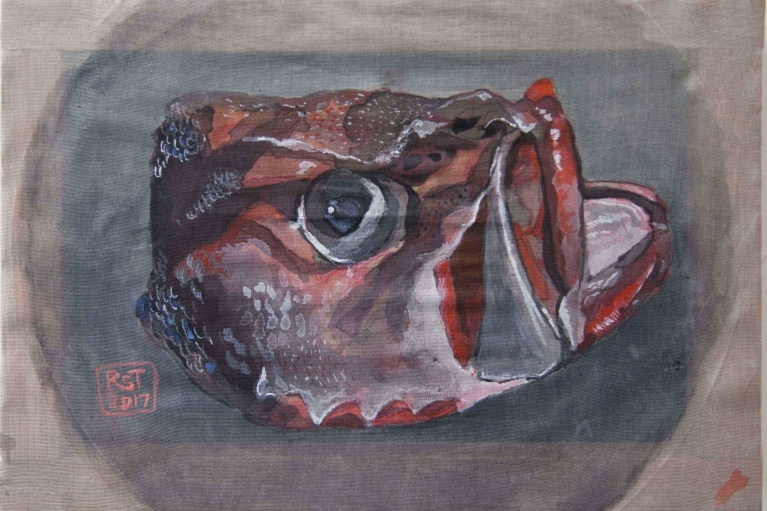 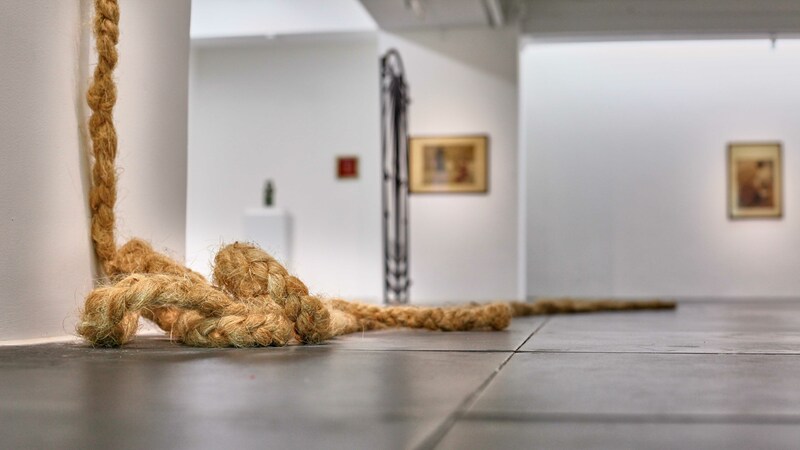 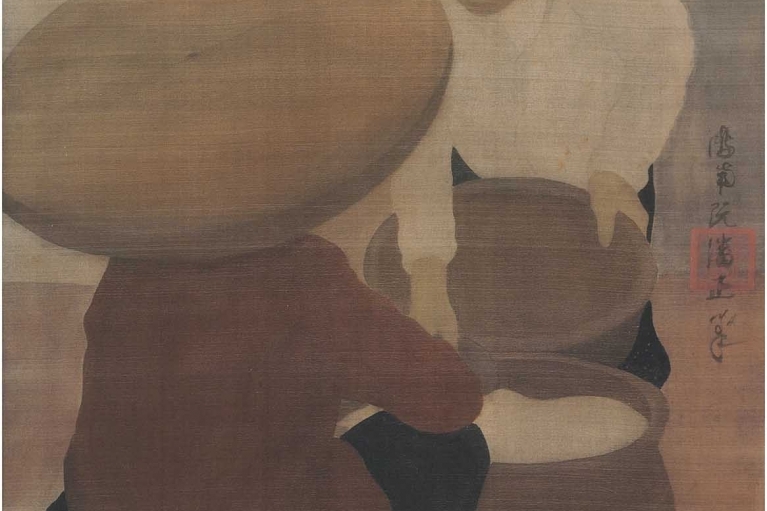 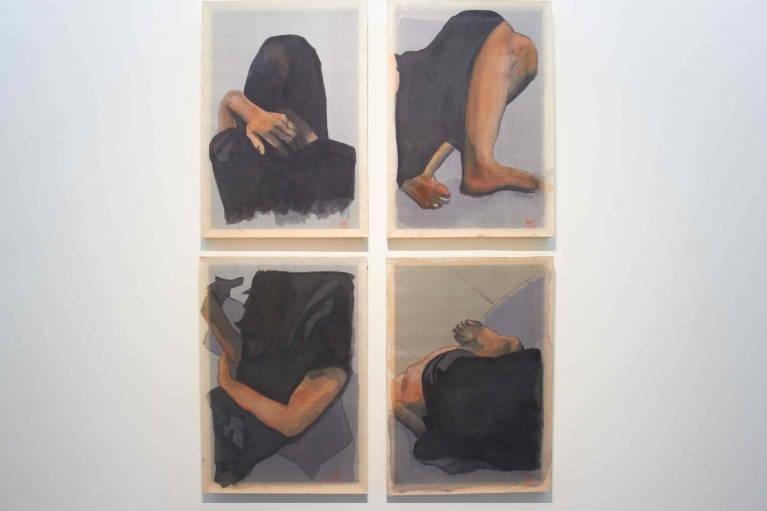 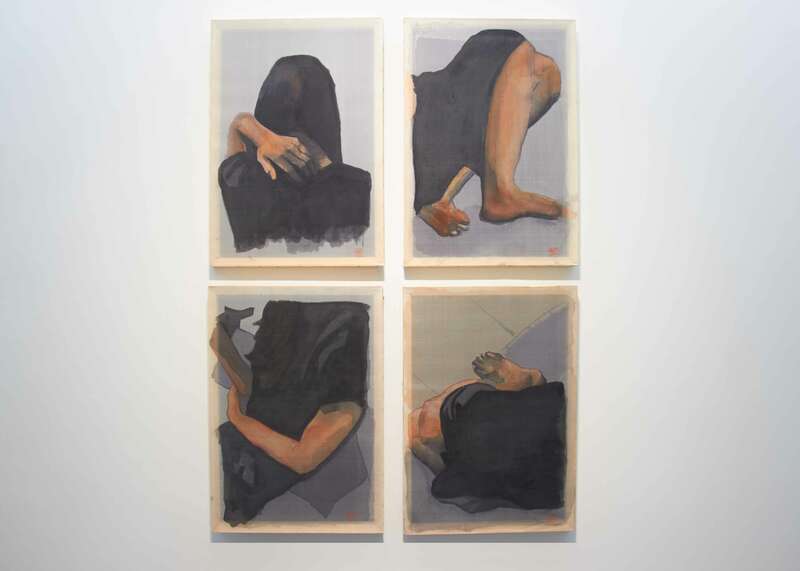 Working across a range of mediums including watercolor on silk, unfired clay, sound, iron and cake, Streitmatter-Tran initiates dialogue that offers new perspectives on historically significant work from Vietnam's first generation of modern artists. 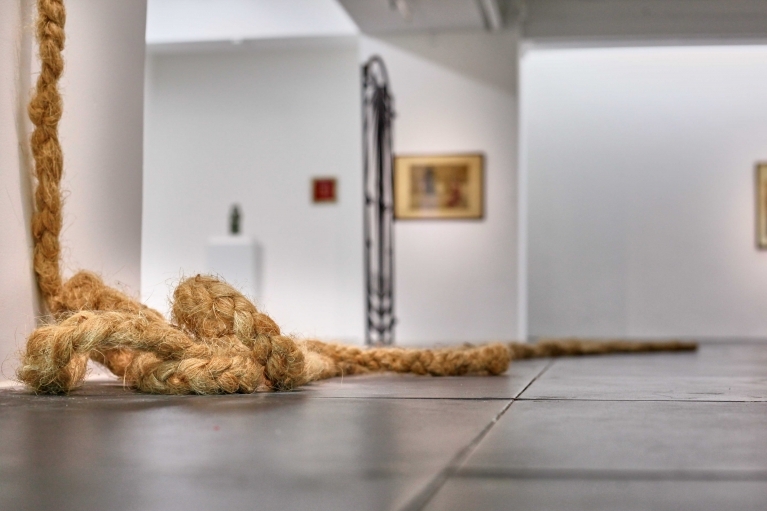 The site-specific installation Vital Matter (all work 2017) features three unfired clay sculptures standing within enclosed vitrines. 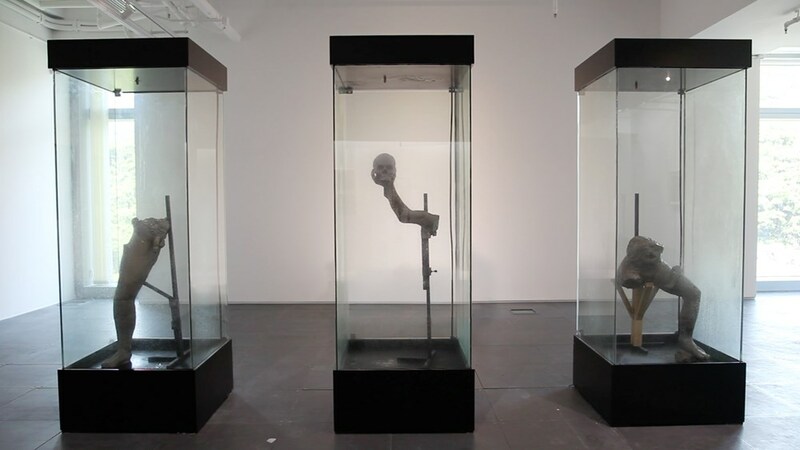 The vitrines contain timed irrigation systems that spray the sculptures with water at regular intervals; over the course of the exhibition, the constant moisture melts and disfigures the figurines. 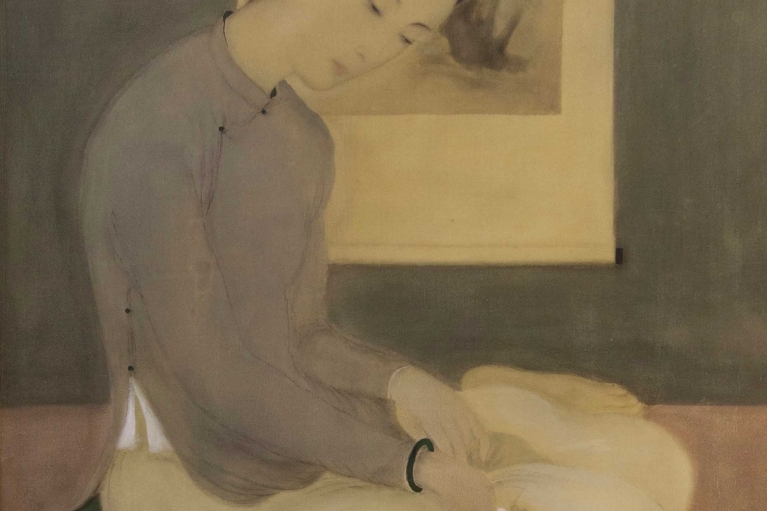 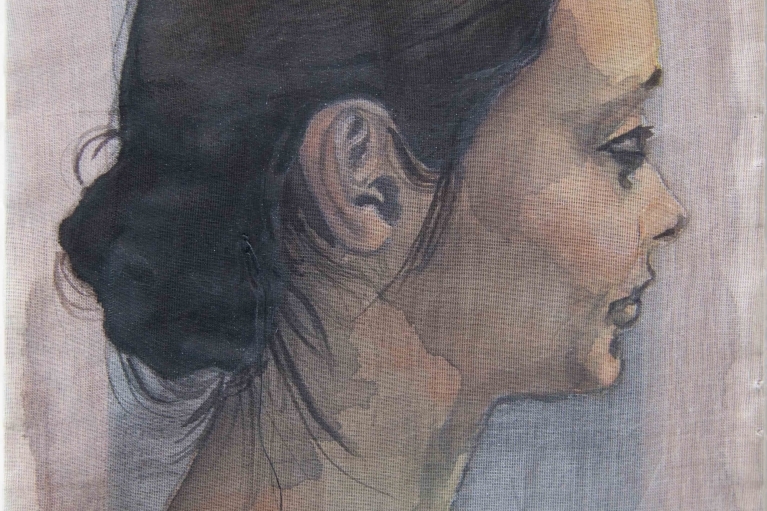 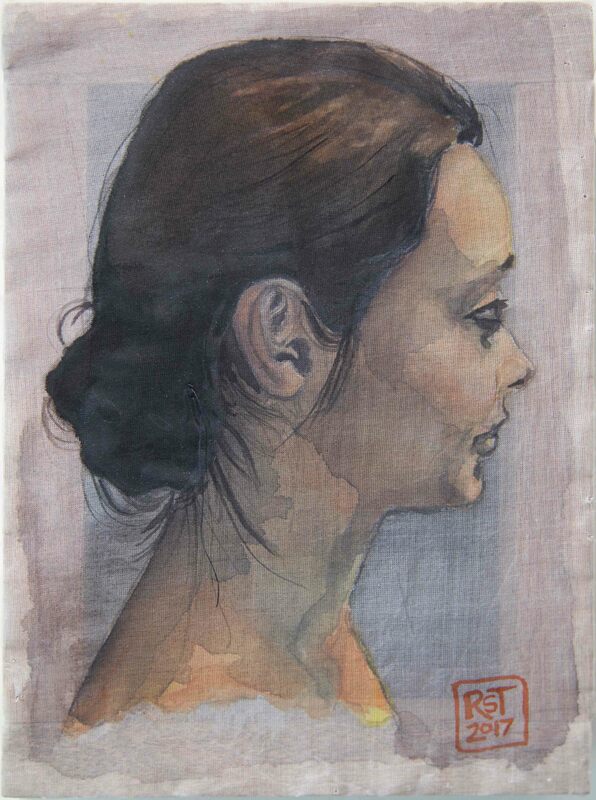 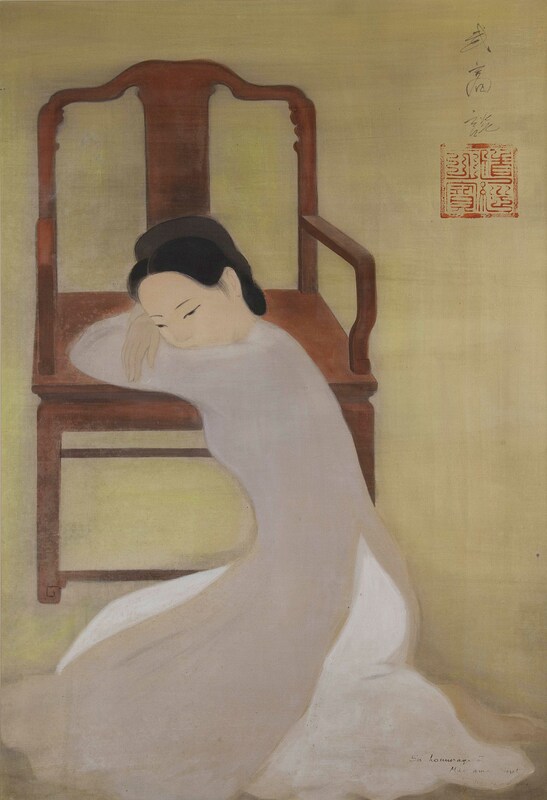 When placed beside modern Vietnamese ink and silk figurative paintings, Vital Matter directly challenges society's perceptions of beauty over time, as well as commenting on the fundamental difficulties in capturing and preserving the beauty of form. 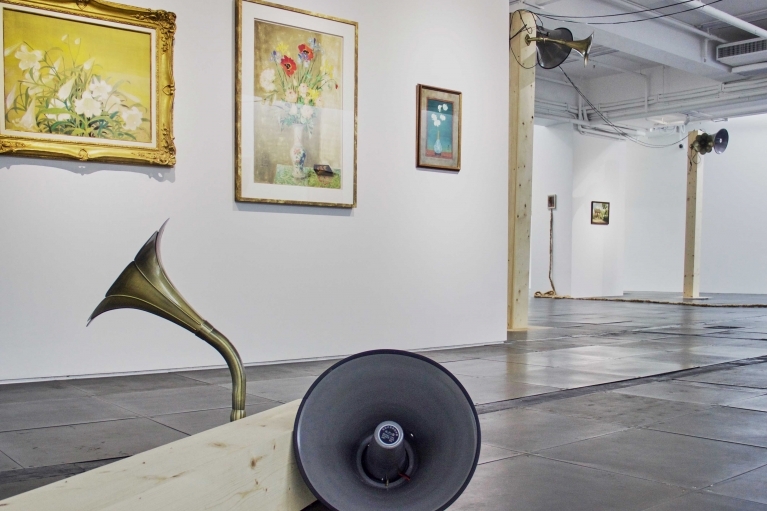 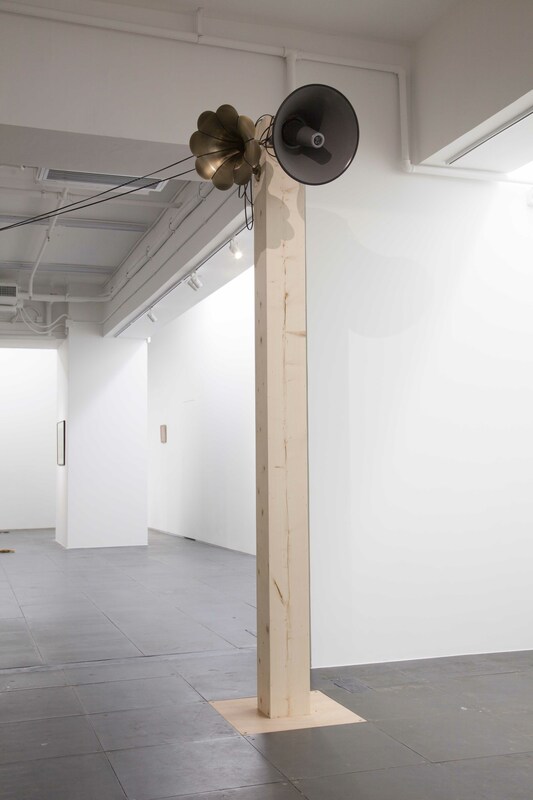 Also erected in the gallery are four towering beams with megaphones and aged phonographs attached to their peaks. 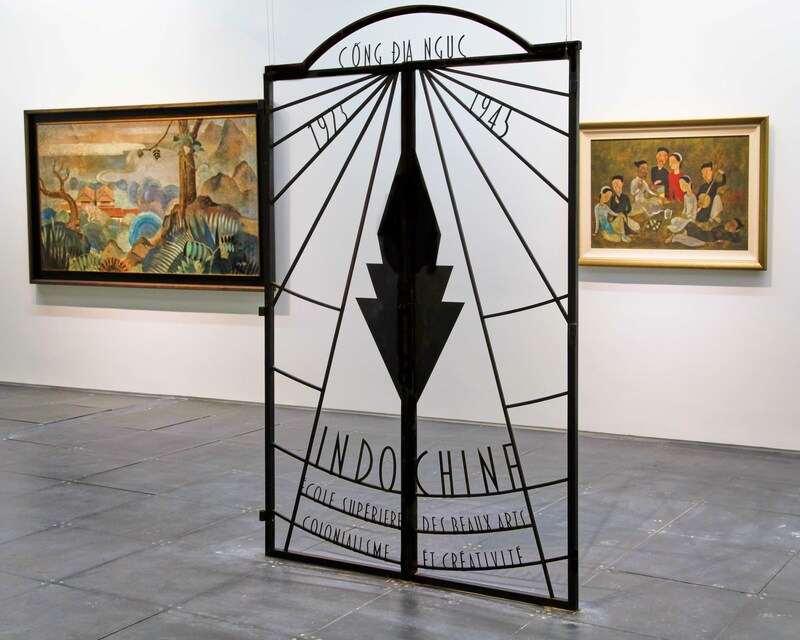 Referencing the outdated wartime speakerphones that are still used for propaganda across Hanoi, the capital of Vietnam, the work The Thin Black Line speaks to the cultural, social, and political impact of the Vietnam War (also known as the American War) on art created before and after the conflict. 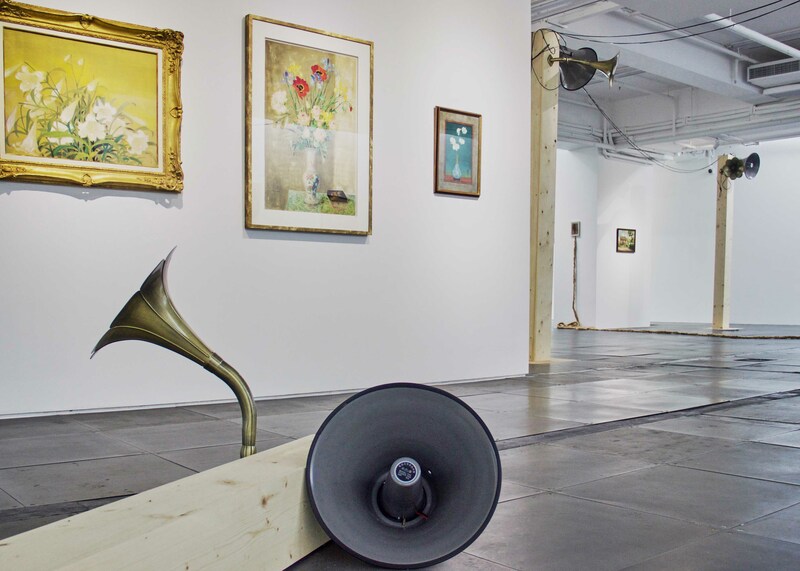 Ambient music by the experimental musician Nhung Nguyen emanates from the speakers, reinventing--repurposing--its function from projecting political propaganda to playing sounds that imagines an alternate Vietnam. 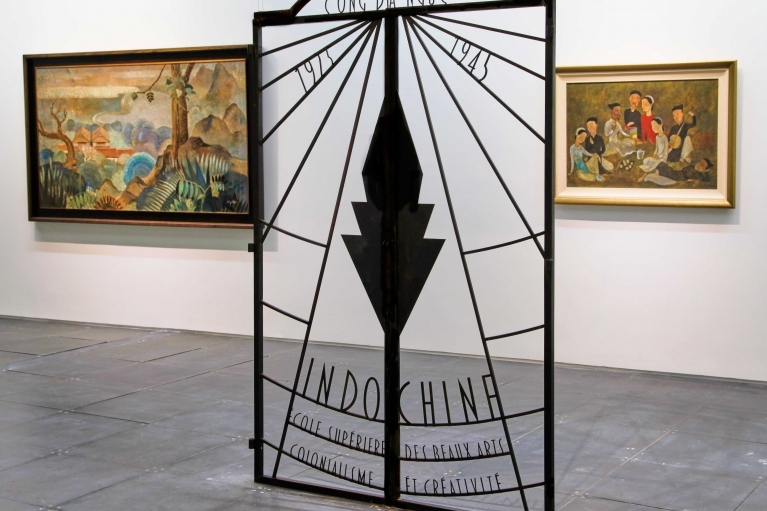 The Gates of Hell (Cổng Địa Ngục) is an iron gate made in the French art deco style that was absorbed by Vietnam in the 1920s and 1930s. 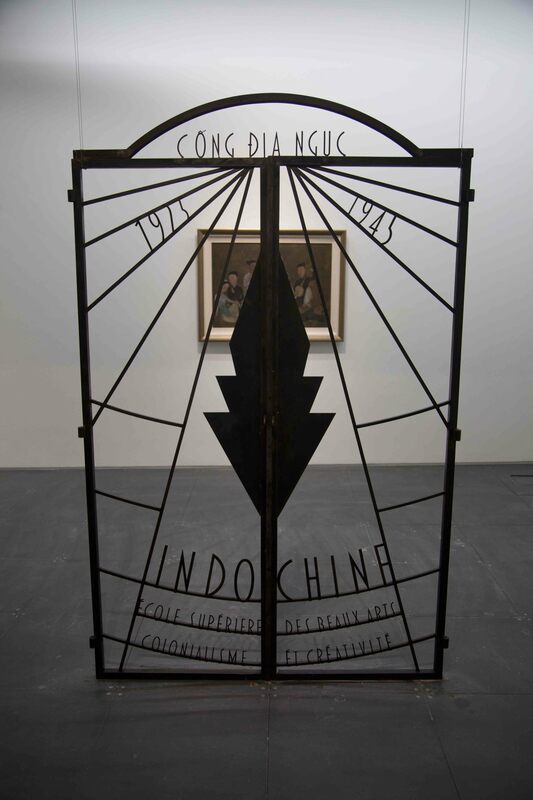 On the gate are the words "École Supérieure des Beaux Arts" and "Indo Chine," in homage to a colonial school which existed from 1925 to 1945 in Hanoi, and that produced many of Vietnam's early modern artists. 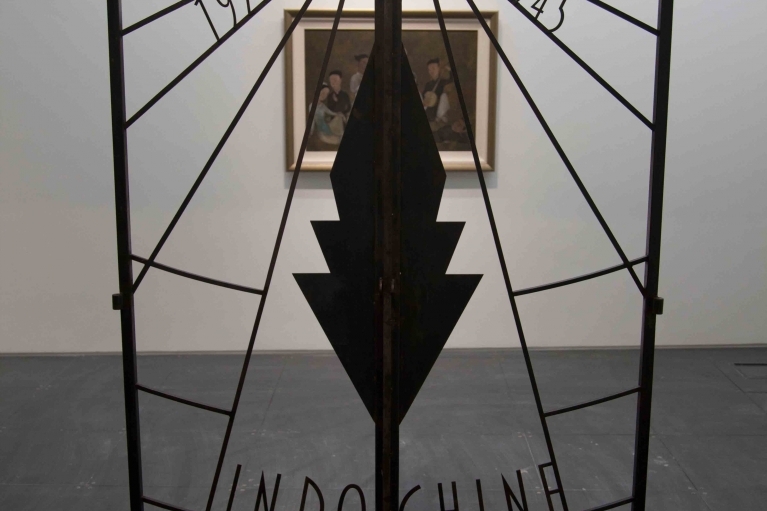 As well as remarking on the schools's impact on creativity in Vietnam, the gate also powerfully highlights complications ushered in by colonialism, as the Vietnamese words "Cổng Địa Ngục," or "The Gates of Hell," are positioned at the top of the gate-a warning for all those who pass through. 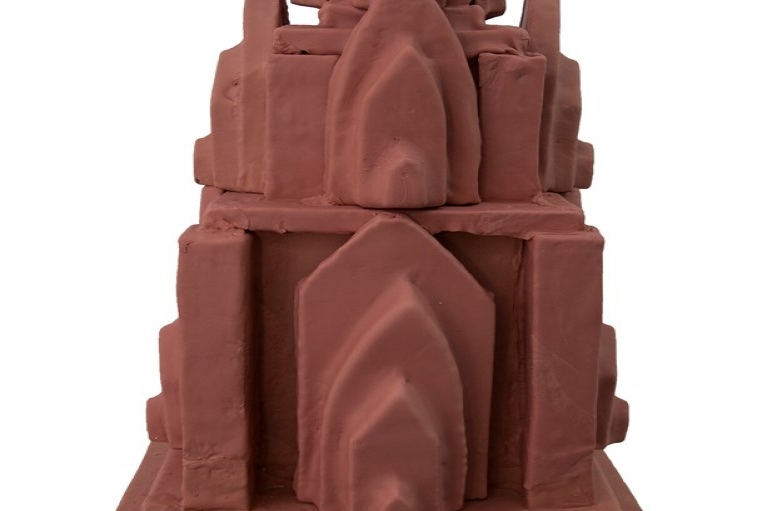 The work Excavation/Elevation (After Champa) comprises three cakes in the shape of temples that are from the Champa Kingdom (2nd century to the 19th century) that existed in Vietnam. 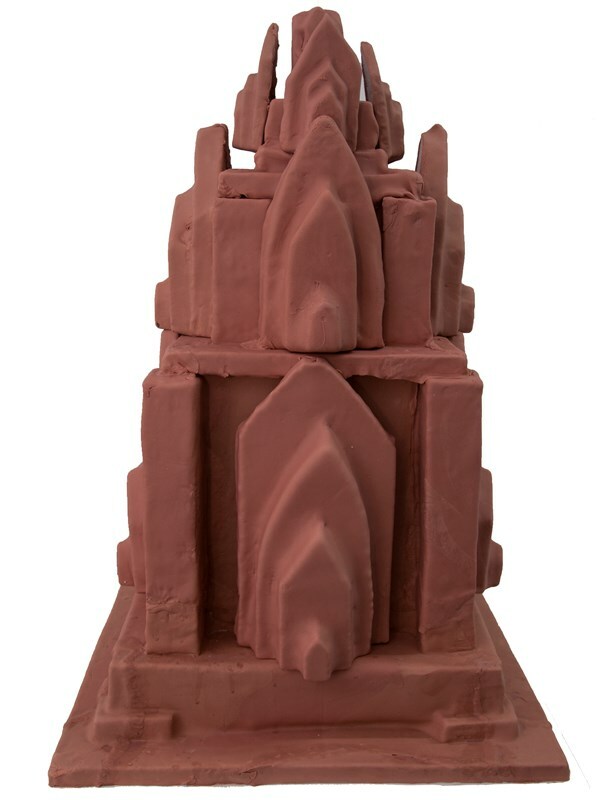 The buildings represent the distant past and recreating them as consumable cake is a statement on how the commodification of ancient Vietnam has become equivalent to baking a delicious cake to be visually appreciated and then devoured. 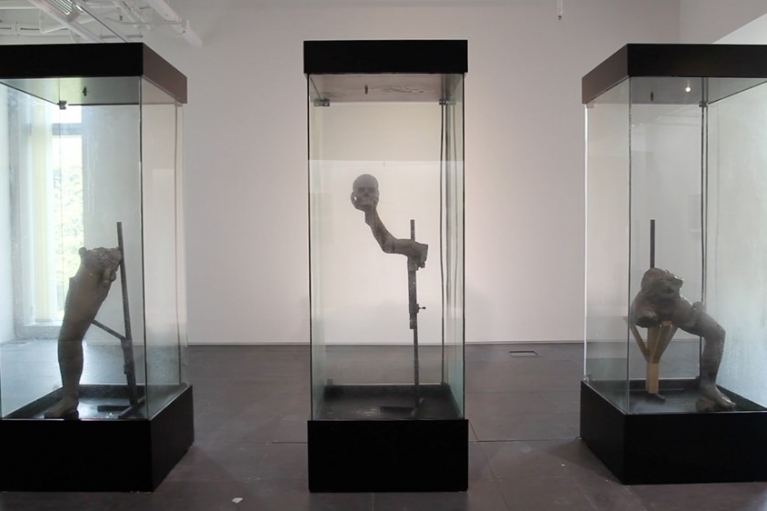 In the context of this show, Excavation/Elevation (After Champa) asks if this will be the fate of all culture. 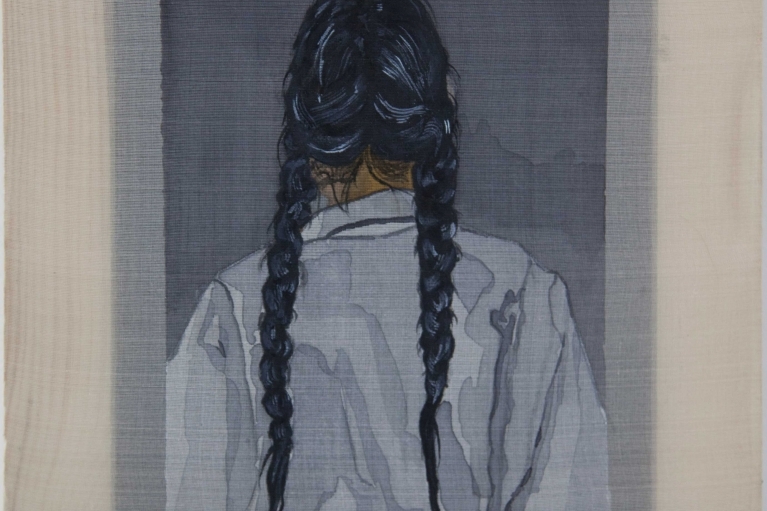 Alluding to the deep blacks and realist style in the works of modern artist Nguyen Phan Chanh, Streitmatter-Tran creates watercolor and silk paintings titled Configurations in Black (After Nguyễn Phan Chánh). 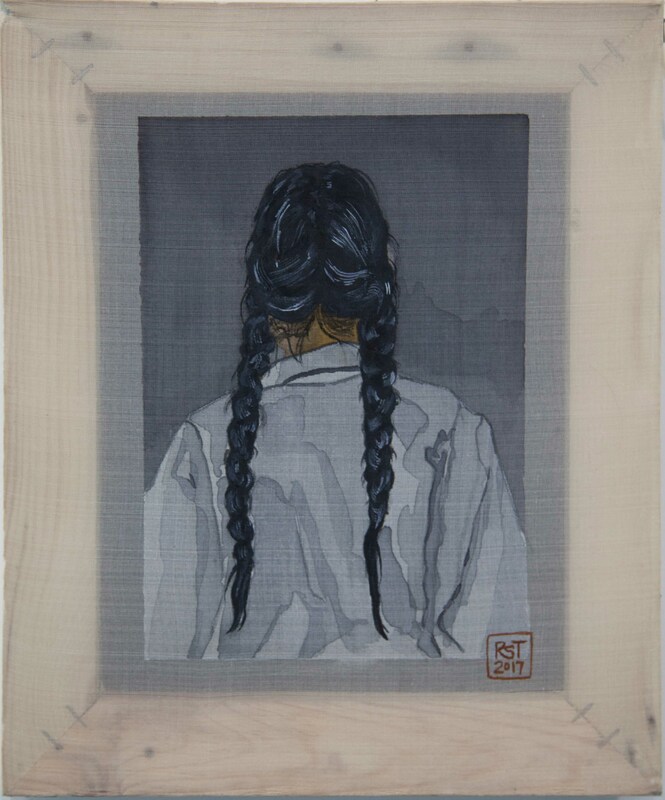 This series is Streitmatter-Tran's first foray into the traditional medium; his self-taught, contemporary style and techniques provides radical contextualization and conversation to the masterpieces, framing them in a new light. 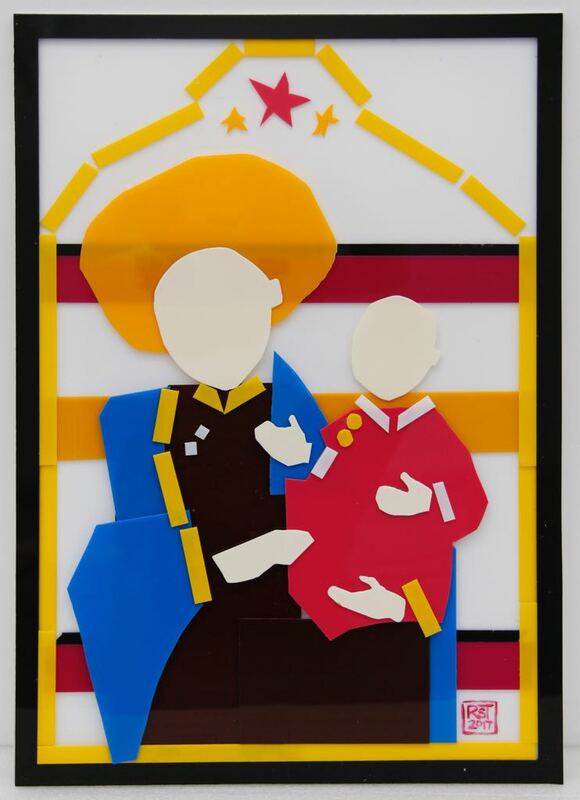 Born in Bien Hoa, Vietnam Streitmatter-Tran was raised in the United States from an early age. 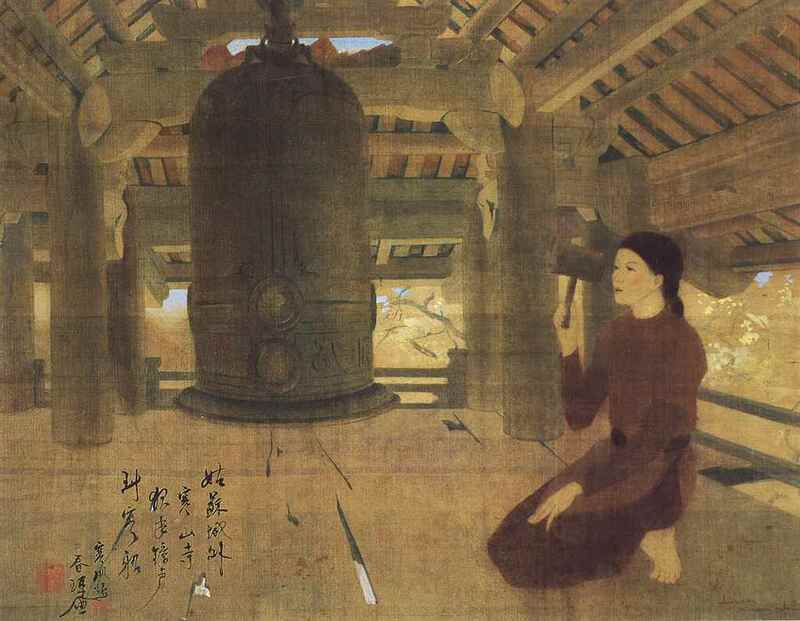 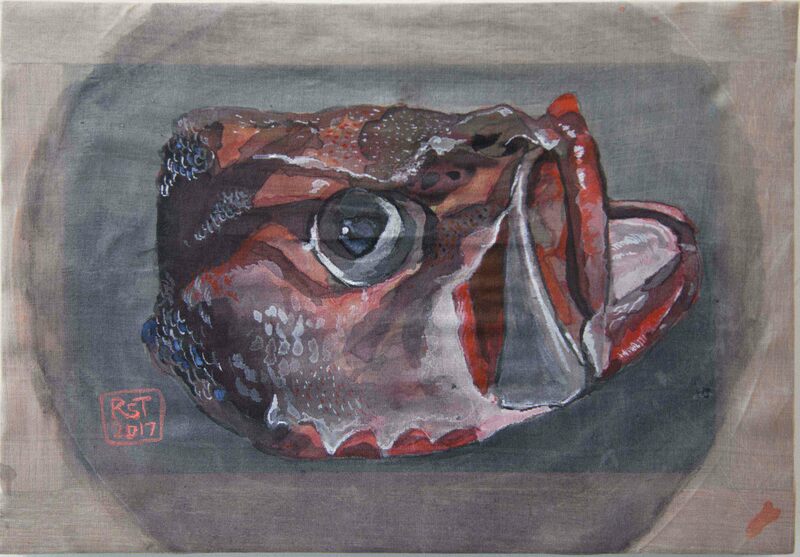 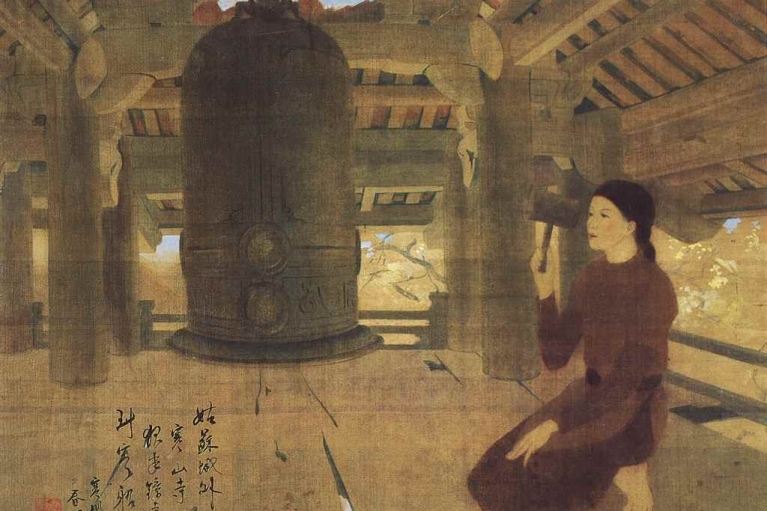 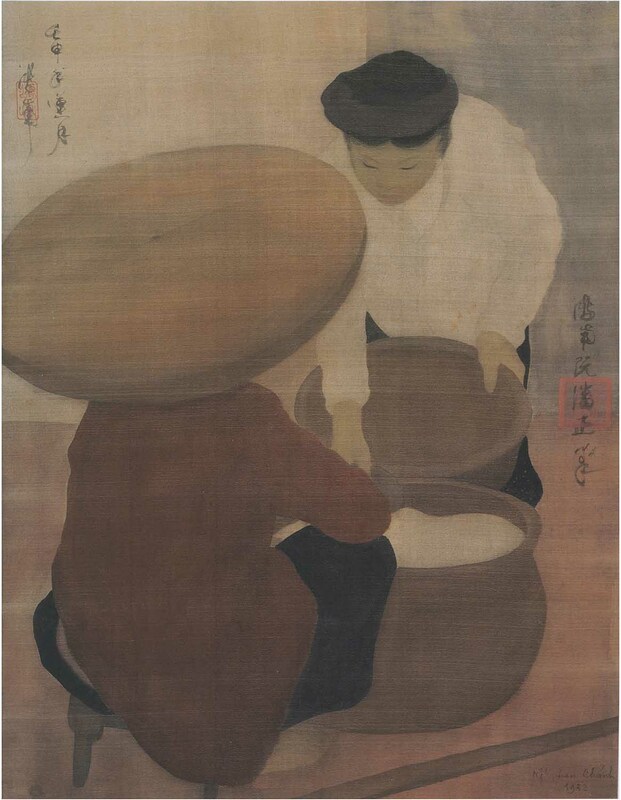 In 2003 he chose to return to Vietnam to begin his art practice. His recent solo and collaborative work has been exhibited internationally including Mekong - New Mythologies, Hong Kong Arts Centre, Hong Kong (2017); Odyssey: Navigating Nameless Seas, Singapore Art Museum, Singapore (2016); The 2nd Jakarta Contemporary Ceramics Biennale, Indonesia (2016); Secret Archipelago, Palais de Tokyo, Paris, France (2015); Doubt and Believe: Exhibition of Nguyen Son and R. Streitmatter-Tran, Vietnamese Women’s Museum, Hanoi, Vietnam (2013); Panorama: Recent Art from Contemporary Asia, Singapore Art Museum, Singapore (2012); Independent Art Project: Art Domain Migration - ASEAN and China, The Forth Guangzhou Triennial, Guangzhou, China (2011); Institution for the Future, Asia Triennial Manchester, United Kingdom (2011); FAX, Para Site Art Space, Hong Kong (2010); Transportasian: Photography from Southeast Asia, Singapore Art Museum, Singapore (2009); Wonder, 2nd Singapore Biennale, Singapore (2008); Migration Addicts, 52nd Venice Biennale, Collateral Events, Venice, Italy (2007) and Thermocline of Art: New Asian Waves, ZKM: Center for Art and Media, Karlsruhe, Germany (2007). 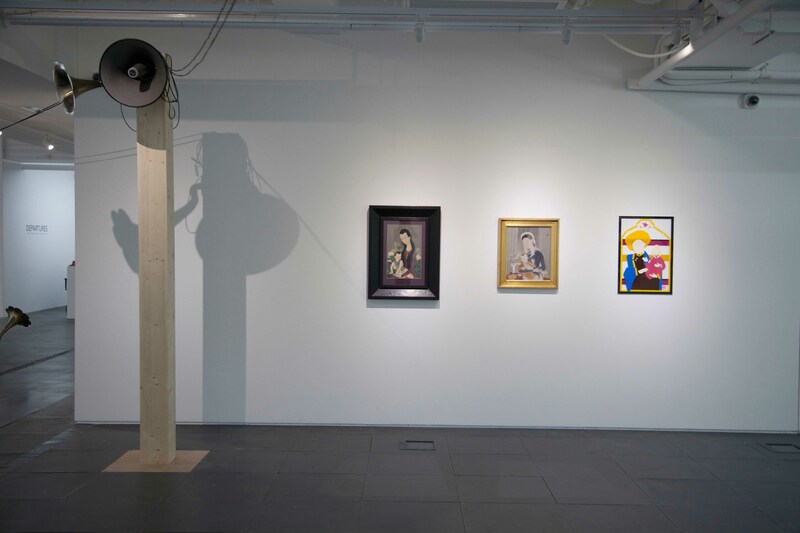 Streitmatter-Trans artworks are part of the permanent collections of the Documenta Archives, Kassell, Germany; The Signapore Art Museum, Singapore; IILM Art Colllection, Gurgaon/New Delhi, India; RMIT University Vietnam Collection, Ho Chi Minh City, Vietnam and Post Vidai Collection, Switzerland & Vietnam. 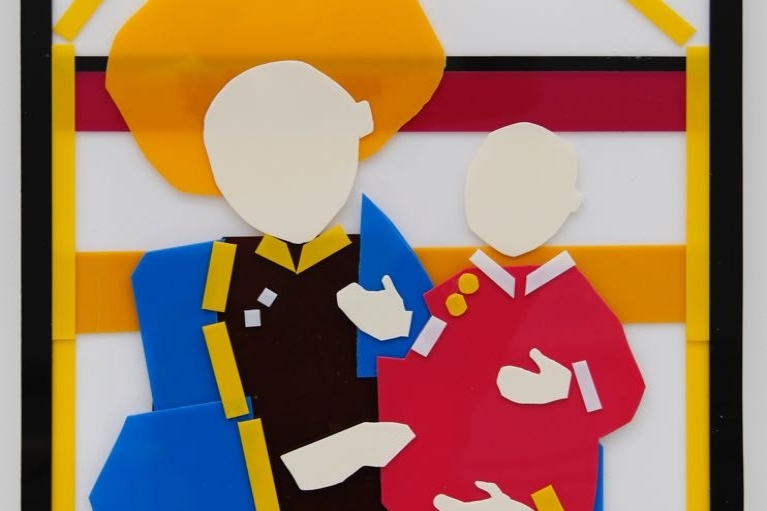 For more information about R. Streitmatter-Tran, click here.